In the first quarter ended March 31, net sales at Amazon rose 46%, to $7.13 billion, and net income rose 68%, to $299 million. As usual, the company offered limited information about book and Kindle sales. The Kindle continues to be the company's "#1 bestselling product" and there are now 500,000 book titles, 9,000 blogs and 175 newspapers and magazines available for the e-reader. Worldwide media sales, which includes books, e-books, music and DVDs, grew 26%, to $3.43 billion. Worldwide electronics and other general merchandise, which includes the Kindle, rose 72%, to $3.51 billion. Amazon said it expects revenue this quarter to be between $6.1 billion and $6.7 billion, up 31%–44% over last year. But because this might be below analysts' predictions of about $6.43 billion, in after-hours trading Amazon's shares fell 6% to $141. John Aiken, an analyst with Majestic Research, told the Wall Street Journal that the Kindle "now accounts for 2% of Amazon's revenue and its e-book sales account for an additional 1.5%." He added, "We assumed there would be a little bit of slowdown of Kindle sales into the iPad launch, and we really did not see that." Aiken predicted that "as many as seven million Kindles will likely have sold by the end of the year." Incidentally Amazon seems to be engaging in some odd pricing strategies--unless there's a glitch involved. This is not an exact science, but Amazon appears to be pricing some hardcover and paperback bestsellers at e-book levels. The most striking involve some new titles from Penguin and other publishers that apparently are not on an agency plan for e-book sales. For example, Dead in the Family by Charlaine Harris (Ace, $25.95), which will be published next month, is being offered for $9.99, a 62% discount. Caught by Harlan Coben (Dutton, $27.95), which is out, is being sold at $9.99, 64% off, although a Kindle edition is available for $8.99. And Lucid Intervals by Stuart Woods (Putnam, $25.95), just published, is being offered for $9.99 and no Kindle version is available. Compare and contrast TV ads for Barnes & Noble's nook, the Kindle, the Sony Reader and the iPad at paidContent.org. The official program for the first day of BookExpo America, Tuesday, May 25, will consist of an open plenary session on "the value of a book," featuring heads of a range of book companies and associations. Cosponsored by BEA and the American Booksellers Association, the panel consists of Bob Miller, group publisher, Workman; Esther Newberg, executive v-p, International Creative Management; Skip Prichard, CEO of Ingram; David Shanks, CEO of Penguin Group; Oren Teicher, CEO of the ABA; and author Scott Turow, incoming president of the Authors Guild. Jonathan Galassi, president of Farrar, Straus & Giroux, will moderate. The event takes place 8:30–10 a.m. at the Javits Center. The ABA's Day of Education and BEA's conference sessions follow. On May 5, Barnes & Noble is opening a store in Settler's Ridge in Robinson Township, Pa., near Pittsburgh. At the same time, B&N's current store in nearby North Fayette, Pa., will close. Book trailer of the day: Blockhead: The Story of Fibonacci by Joseph D'Agnese, illustrated by John O'Brien (Holt Books for Young Readers). Gooseberry Patch, Delaware, Ohio, the 25-year-old cookbook publisher all of whose titles are priced below $17, is now being distributed nationwide by NBN. The company has discontinued its mail-order catalogue. Under a new partnership between publisher Chelsea Green and Northshire Bookstore, Manchester Center, Vt., the publisher will provide books to Northshire on consignment in exchange for a prominent display of Chelsea Green Books. In addition, the bookstore will feature "Chelsea Green Author Events" with multiple authors appearing to promote the content and vision of the two companies. 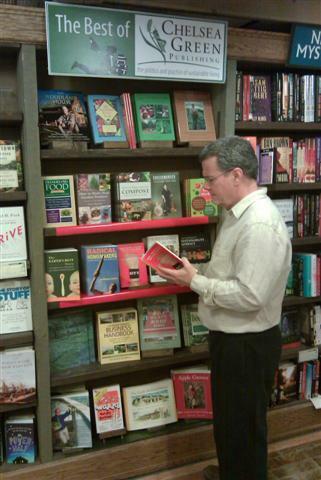 "The current book business paradigm is limiting to bookstores and publishers," said Chris Morrow, owner of Northshire Bookstore. "It is time to become true partners in selling books." Margo Baldwin, publisher of Chelsea Green, observed: "This branded area partnership is the only model that works to preserve and enhance the vitality of both indie publishers and indie bookstores. They need to move into alliances that support one another and build on local economies and shared communities and mission. We look forward to showing the rest of the industry that all is not doom and gloom if you can carve out authentic human relationship and build on it." The Northshire/Chelsea Green partnership also includes a commitment to reduce the excessive energy waste associated with the shipping and returning of books. "One of our goals is to eliminate the middlemen remainder dealers from the equation, thus allowing both Northshire and Chelsea Green to keep more of the net income from book sales," Baldwin noted. "Rather than returning Chelsea Green books to the publisher, we will do shared markdowns and special sales of books right on the shelves," said Morrow. "Instead of bookstores spending time and money minimizing our inventory and publishers hiring more people in their credit departments as their warehouses fill with books that customers can't see, this model allows for us both to focus on getting more books in front of more customers. The sales will follow. Chelsea Green is a great partner for us--they are unafraid of new ways of doing business and open to experimentation." Tomorrow, Saturday, HBO premieres You Don't Know Jack, which is based in large part on the book Between the Dying and the Dead: Dr. Jack Kevorkian's Life and the Battle to Legalize Euthanasia by Neal Nicol and Harry Wylie (University of Wisconsin Press, $27.95, 9780299217105/0299217108). Directed by Barry Levinson, the movie stars Al Pacino as "Dr. Death" Kevorkian and John Goodman as co-author Neal Nicol, who was a longtime friend of Kevorkian and assisted him on many occasions. Other members of the cast are Susan Sarandon, Danny Huston, Brenda Vaccaro and James Urbaniak. Between the Dying and the Dead was written with the cooperation of Dr. Kevorkian, who is 81 and was paroled three years ago. The winners will be announced during ABC's Not-a-Dinner & (Mostly) Silent Auction at BEA on Tuesday, May 25. 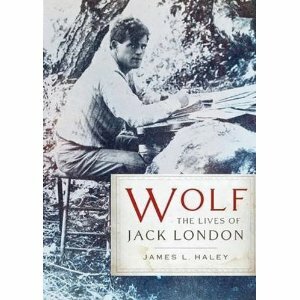 A longlist of 19 contenders for the £20,000 (US$30,740) BBC Samuel Johnson Prize for nonfiction has been named. The Guardian reported that chair of judges Evan Davis called this an "unusual and eclectic longlist of terrific books. It is particularly gratifying that our selection demonstrates the worldliness of good nonfiction writing, with books that take us from China and India, to Africa and the Arctic." The shortlist will be announced in late May, with a winner named in July. The complete longlist can be found here. On July 14, 1897, the steamship Excelsior docked in San Francisco, California. It brought with it the first news that gold had been discovered in the Klondike region of the Canadian Yukon. Unremarkable men who once had only modest means now swaggered down the gangplank with gold dust and nuggets enough to set themselves up in business and live--some comfortably, a few fabulously. The news rocked the country to its foundations, not least because it gave hope to America's teeming ranks of the poor. The United States was still wallowing in the malaise of the Panic of 1893 and its subsequent depression. The economic excesses of what Mark Twain had called the Gilded Age, the high-water mark of unrestrained capitalism and gaudy wealth for the tiny class of industrialist robber barons, now cruelly tormented the lower class. Jobs were scarce and miserably paid; the standard wage for backbreaking labor was ten cents an hour. Shirkers and troublemakers, and especially anyone who even looked like he might be a unionizer or a socialist, were fired in a heartbeat and replaced from the long line of the unemployed who were desperate to have that dime an hour. 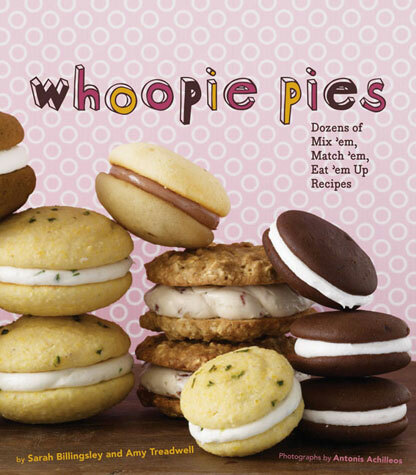 Evidently, whoopee pies are the new cupcakes. That's as may be, as my grandmother used to say, but whatever they are, they are scrumptious and easy to make. For those who aren't familiar with them, a whoopee pie is a sandwichy dessert from the Northeast, traditionally made with two soft, round dark chocolate cake-cookie hybrids and a creamy marshmallow filling. The authors use the classic whoopee as a starting point, telling the cook to have fun, not to worry about sifting, to eyeball the lemon zest amount and why Crisco usually works better than butter. They divide the book into two sections--cakes and fillings--and list various combinations but urge experimentation. A few of the cakes: red velvet, lemon, carrot, gingerbread. A few of the fillings: salted caramel, dulce de leche, mint, maple-bacon, chocolate ganache. Some vegan and gluten-free recipes are also included. 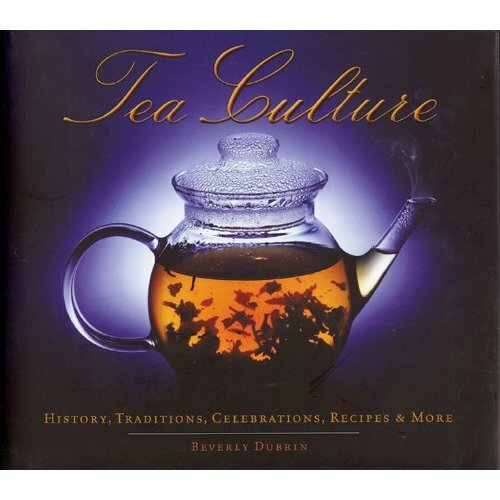 This is quite a cheerful and charming cookbook, and whoopee pies would make a fine nontraditional addition to a tea party. P.J. Tracy is the pseudonym of the mother-daughter writing team of Patricia (P.J.) Lambrecht and Traci Lambrecht, winner of the Anthony, Barry, Gumshoe and Minnesota Book Awards. Their first four novels, Monkeewrench, Live Bait, Dead Run and Snow Blind, have become national and international bestsellers. They both live in rural Minnesota, just outside of Minneapolis. P.J. 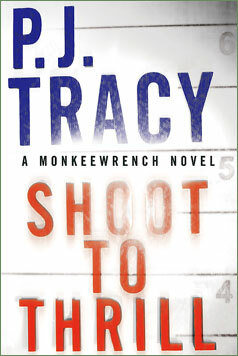 Tracy's newest is Shoot to Thrill, which Putnam will publish next Thursday, April 29. Traci: LaRousse Gastronomique and assorted cookbooks; Practical Homicide Investigation Checklist and Field Guide by Vernon J. Geberth (don't worry, nothing to do with the cookbooks); Middlesex; and an ancient, moldering edition of Sherlock Holmes Detective Stories. P.J. : If I had a nightstand, The Pocket Book of Verse would be on it. As it is, nightstandless, that book is always on my desk, or very close to it. I love the gentle rhythm of poetry, the spare use of words and cadence that is both impassioned and soothing, especially when read aloud. But no one except Dr. Seuss will want to sleep with you if you read poetry aloud in bed. Two husbands; no nightstands. But hope springs eternal. Traci: Grimm's Fairy Tales--that brilliant volume twisted my psyche and turned me into the homicidal maniac I am today. P.J. : Lad, a Dog. Seriously. Traci: That's always changing, but my top five of all time (or at least most influential to me): Mark Twain, Arthur Conan Doyle, J.D. Salinger, Edgar Allan Poe and Stephen King. P.J. : Edgar Allan Poe, John Steinbeck, Mark Twain, Nelson DeMille and, yes, Stephen King. Traci: Crime and Punishment. Who hasn't faked reading that? Actually, I read part of it in Russian and it made a lot more sense than it did in English, especially since my Russian isn't that great. P.J. : Dr. Zhivago, which was a college assignment not for me, but for a boyfriend who tricked me into doing his work. So there you have it. I did it for love. Boy, was I stupid, which goes a long way toward explaining Lad, a Dog. Traci: Anything Shakespeare. Whoever he or she really was, they caressed and manipulated language magnificently and turned reading into a visceral experience. He/she/they also had a great sense of humor. Traci: I can't think of one. I am attracted to covers, like crows are attracted to simple, shiny objects--glossy, foil-embossed covers with very spartan artwork, in my case. But in the end, the flap copy is what sells me. P.J. : Not one. In a way, I miss the old leather-bound novels with their plain covers, usually darkly colored, that always made me think the book was hiding a great secret. I discovered some great stories within those covers that never gave you a hint of content, that I might not have read had they worn a glossy cover. Traci: Catcher in the Rye. It was so dark and so funny all at once, just like life. It is a great example of the necessity of contrast in art, and made me want to write even more than I already did. P.J. : I have come to believe that the literature, the stories that influence our lives, are not so much a measure of our particular appreciations, as the times and places we have inhabited. Reading Atlas Shrugged on my way to my first year in college was an epiphany. I knew of hiding under my grade-school desk so I would not be fried by the atom bombs sure to fall; I knew the Russians would destroy the world for the simple satisfaction of seeing those who did not share their beliefs annihilated. But I knew nothing of philosophies and ideologies that existed beyond the teachings of a tight family history in my own country, and this novel, more than any other, showed me another world. Open the door, look inside to another place, where people are not so different after all. I found the human family in that novel, and for the first time in my life, felt connected. Byron: "If I laugh at any mortal thing, 'tis that I may not weep." Stephen King (Christine): "Take a flying f*^& at a rolling donut." P.J. : "Let us begin." These are the very unremarkable words that slipped unbidden into my mind the moment I read this question. Unfortunately, I cannot remember what book contains that line, and it's driving me crazy. They were the last words of that elusive novel--maybe The Stand--and the words themselves seem ordinary and uninspired, and certainly not beautiful in the literary sense. Perhaps not even memorable. And yet there they were, lurking in the back alleys of my mind after all these years, because they are the natural and hopeful end of any story. Traci: The Shining. I read it when I was way too young for the material, and it was the first (and last) book to scare the living bejeezus out of me, which I really enjoyed. P.J. : Lad, a Dog. What else? 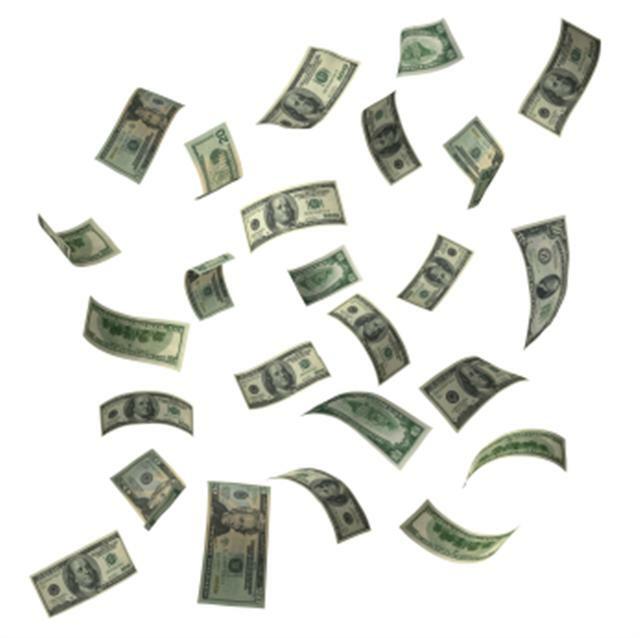 Clearly money has something to do with life.--Philip Larkin, "Money"
These poets speak of capital as if they had the least idea. I ask you: what do poets know of capital? Across this harp, their fingers play a Nietzschean revival. I envy them their will to power. I mentioned recently that I'm not a poet, but I am a reader of poetry (and buyer of poetry collections, which is a truly endangered lit-species). I'm a writer, so I think about words all the time, but I'm also deeply intrigued by and engaged in the book trade, so I think about money, too. I know many poets. I consider that a privilege. 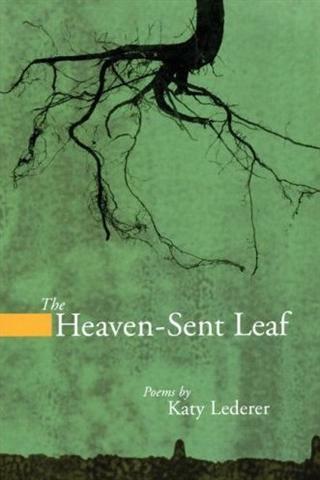 When our conversations turn to the publishing industry, however, a certain fatalistic refrain inevitably creeps in: "No money in poetry; never was, never will be," they will say, or, "I write poetry, therefore I teach." I know, I know. It's not just about the money, whether you're a poet, a bookseller, a small press editor or any other toiler in the word fields. It is, however, a little bit about the money. For example, have you ever met anyone in the book world who didn't say, at some point, "I could have made more money doing (fill in the occupation), but I had to do this"? There's never any money! All we do is worry and fight. but I can't. I have to keep pretending there is nothing wrong. poets have never gotten fat. There are small, practical solutions. I heard about one at the AWP Conference and Bookfair in Denver, Colo., recently, where Todd Boss spoke of poetry and money in the same breath and the walls did not crumble around us, nor did the gods rise up in fury and smite him. I found it refreshing. He said that his website features a call for commissions: "By working for hire, and by putting a price tag on your work, you create a new market for your poems--a market based on emotional necessity, urgency, and deep personal commitment. This is a vital, and artistically rewarding way to give the world the poetry it craves." Boss also wrote about commission work in a Squad365 blog post this week, observing: "Each commission expands, in profoundly personal ways, my influence as an artist, and results in compelling word-of-mouth among people whom I wouldn’t otherwise reach. And the artistic risk and rivet of it--creating a work of art that speaks to another person’s deepest desires for art’s healing questions--makes for the greatest benefit of all."